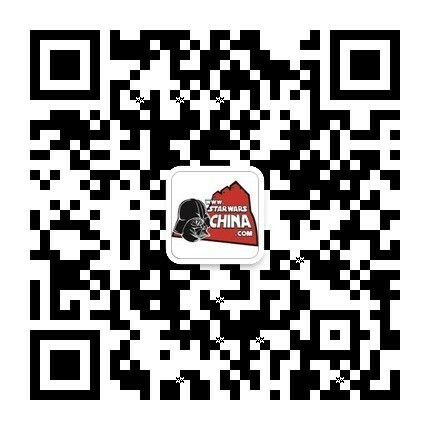 ﻿﻿ X翼：侠盗中队（X-Wing: Rogue Squadron） - 汉化发布区 - 星球大战中文网 Star Wars China - Powered by Discuz! You're good, Corran, but you're no Luke Skywalker. Corran Horn's cheeks still burned at the memory of Commander Antilles's evaluation of his last simulator exercise. The line had been a simple comment, not meant to be cruel nor delivered that way, but it cut deep into Corran. I've never tried to suggest I'm that good of a pilot. He shook his head. No, you just wanted it to be self-evident and easily recognized by everyone around you. Reaching out he flicked the starter switches for the X-wing simulator's engines. "Green One has four starts and is go." All around him in the cockpit various switches, buttons, and monitors flashed to life. "Primary and secondary power is at full." Ooryl Qrygg, his Gand wingman, reported similar start-up success in a high-pitched voice. "Green Two is operational." Green Three and Four checked in, then the external screens came alive projecting an empty starfield. "Whistler, have you finished the navigation calculations?" The green and white R2 unit seated behind Corran hooted, then the navdata spilled out over Corran's main monitor. He punched a button sending the same coordinates out to the other pilots in Green Flight. "Go to light speed and rendezvous on the Redemption." As Corran engaged the X-wing's hyperdrive, the stars elongated themselves into white cylinders, then snapped back into pinpoints and began to revolve slowly, transforming themselves into a tunnel of white light. Corran fought the urge to use the stick to compensate for the roll. In space, and especially hyperspace, up and down were relative. How his ship moved through hyperspace didn't really matter-as long as it remained on the course Whistler had calculated and had attained sufficient velocity before entering hyperspace, he'd arrive intact. Flying into a black hole would actually make this run easier. Every pilot dreaded the Redemption run. The scenario was based on an Imperial attack on evacuation ships back before the first Death Star had been destroyed. While the Redemption waited for three Medevac shuttles and the corvette Korolev to dock and off-load wounded, the Imperial frigate Warspite danced around the system and dumped out TIE fighters and added bombers to the mix to do as much damage as they could. The bombers, with a full load of missiles, could do a lot of damage. All the pilots called the Redemption scenario by another name: the Requiem scenario. The Warspite would only deploy four star fighters and a half-dozen bombers-known in pilot slang as "eyeballs" and "dupes" respectively- but it would do so in a pattern that made it all but impossible for the pilots to save the Korolev. The corvette was just one big target, and the TIE bombers had no trouble unloading all their missiles into it. Stellar pinpoints elongated again as the fighter came out of hyperspace. Off to the port side Corran saw the Redemption. Moments later Whistler reported that the other fighters and all three Medevac shuttles had arrived. The fighters checked in and the first shuttle began its docking maneuver with the Redemption. "Green One, this is Green Four." "By the book, or are we doing something fancy?" Corran hesitated before answering. By book, Nawara Ven had referred to the general wisdom about the scenario. It stated that one pilot should play fleethund and race out to engage the first TIE flight while the other three fighters remained in close as backup. As long as three fighters stayed at home, it appeared, the Warspite dropped ships off at a considerable distance from the Korolev. When they didn't, it got bolder and the whole scenario became very bloody. The problem with going by the book was that it wasn't a very good strategy. It meant one pilot had to deal with five TIEs-two eyeballs and three dupes-all by himself, then turn around and engage five more. Even with them coming in waves, the chances of being able to succeed against those odds were slim. Doing it any other way was disastrous. Besides, what loyal son of Corellia ever had any use for odds? "By the book. Keep the home fires burning and pick up after me." "Thanks." Corran reached up with his right hand and pressed it against the lucky charm he wore on a chain around his neck. Though he could barely feel the coin through his gloves and the thick material of his flight suit, the familiar sensation of the metal resting against his breastbone brought a smile to his face. It worked for you a lot, Dad, let's hope all its luck hasn't run out yet. He openly acknowledged that he'd been depending quite a bit on luck to see him through the difficulties of settling in with the Alliance forces. Learning the slang took some work-moving from calling TIE starfighters "eyeballs" to calling Interceptors "squints" made a certain amount of sense, but many other terms had been born of logic that escaped him. Everything about the Rebellion seemed odd in comparison to his previous life and fitting in had not been easy. Nor will be winning this scenario. The Korolev materialized and moved toward the Redemption, prompting Corran to begin his final check. He'd mulled the scenario over in his mind time and time again. In previous runs, when he served as a home guard to someone else's fleethund, he'd had Whistler record traces on the TIE timing patterns, flight styles, and attack vectors. While different cadets flew the TIE half of the simulations, the craft dictated their performance and a lot of their initial run sequence had been preprogrammed. A sharp squawk from Whistler alerted Corran to the Warspite's arrival. "Great, eleven klicks aft." Pulling the stick around to the right, Corran brought the X-wing into a wide turn. At the end of it he punched the throttle up to full power. Hitting another switch up to the right, he locked the S-foils into attack position. "Green One engaging." Rhysati's voice came cool and strong through the radio. "Be all over them like drool on a Hutt." "I'll do my best, Green Three." Corran smiled and waggled the X-wing as he flew back through the Alliance formation and out toward the Warspite. Whistler announced the appearance of three TIE bombers with a low tone, then brought the sound up as two TIE fighters joined them. "Whistler, tag the bombers as targets one, two, and three." As the R2 unit complied with that order, Corran pushed shield power full to front and brought his laser targeting program up on the main monitor. With his left hand he adjusted the sighting calibration knob on the stick and got the two fighters. Good, looks like three klicks between the eyeballs and the bombers. Corran's right hand again brushed the coin beneath his flight suit. He took a deep breath, exhaled slowly, then settled his hand on the stick and let his thumb hover over the firing button. At two klicks the heads-up display painted a yellow box around the lead TIE fighter. The box went green as the fighter's image locked into the HUD's targeting cross and Whistler's shrill bleat filled the cockpit. Corran's thumb hit the button, sending three bursts of laser bolts at the lead fighter. The first set missed but the second and third blasted through the spherical cockpit. The hexagonal solar panels snapped off and spun forward through space while the ion engines exploded into an expanding ball of incandescent gas. Corran kicked the X-wing up in a ninety-degree snap-roll and sliced through the center of the explosion. Laser fire from the second fighter lit up his forward shields, making it impossible for him to get a good visual line on the TIE. Whistler yowled, coo-plaining about being a target. Corran hurried a shot and knew he hit, but the TIE flashed past and con-tinued on in at the Korolev. Time to write a new chapter for the book on the Requiem scenario. Corran throttled back almost all the way to zero and let the X-wing decelerate. "Whistler, bring up target one." The image of the first TIE bomber filled his monitor. Corran switched over to proton torpedo target control. The HUD changed to a larger box and Whistler began beeping as he worked supplying data to the targeting computer for a missile lock. "Green One, your velocity is down to one percent. Do you need help?" "Corran, what are you doing?" "Making the book a short story." I hope. The HUD went red and Whistler's tone became constant. Corran punched the button and launched the first missile. "Acquire target two." The HUD flashed yellow, then red, and the pilot launched the second missile. Numbers scrolled away to zero as the missiles streaked in at their targets. Two kilometers away the first missile hit, shredding the first TIE bomber. Seconds later the second missile hit its target. A novalike explosion lit the simulator's cockpit, then melted into the blackness of space. "Acquire target three." Even as he gave the order he knew the rate of closure between the bomber and his ship would make the last missile shot all but impossible. "Cancel three." Corran throttled up again as the third bomber sailed past and brought his ship around. He switched back to laser targeting and climbed right up on the bomber's stern. The dupe's pilot tried to evade him. He juked the double-hulled ship to the left, then started a long turn to the right, but Corran was of no mind to lose him. He cut his speed, which kept the bomber in front of him, then followed it in its turn. As he leveled out again on its tail, he triggered two laser bursts and the targeting computer reported hull damage. The bomber's right wing came up in a roll and Corran did the same thing. Had he continued to fly level, the X-wing's lasers would have passed on either side of the bomber's fuselage, giving the bomber a few seconds more of life. Keeping the bomber centered in his crosshairs, Corran hit twice more and the bulky craft disintegrated before him. Pushing his throttle to full, Corran scanned for the fighter he'd missed. He found it two klicks out and going in toward the Korolev. He also found five more TIEs coming in from the other side of the corvette, eighteen kilometers away. Damn, the bomber took more time than I had to give it. He brought the torpedo targeting program back up and locked on to the remaining fighter. The HUD seemed to take forever before it went red and acquired a lock. Corran fired a missile and watched it blast through the fighter, then turned his attention to the new TIEs. "Green One, do you want us to engage?" Corran shook his head. "Negative, Two. Warspite is still here and could dump another flight." He sighed. "Move to intercept the fighters, but don't go beyond a klick from the Korolev." Good, they can tie the fighters up while I dust these dupes. Corran studied the navigational data Whistler was giving him. The Korolev, the bombers, and his X-wing formed a shrinking triangle. If he flew directly at the bombers he would end up flying in an arc, which would take more time than he had and let them get close enough to launch their missiles at the corvette. That would be less than useless as far as he was concerned. "Whistler, plot me an intercept point six klicks out from the Korolev." The R2 whistled blithely, as if that calculation was so simple even Corran should have been able to do it in his head. Steering toward it, Corran saw he'd have just over a minute to deal with the bombers before they were in firing range on the Korolev. Not enough time. Flicking two switches, Corran redirected generator energy from recharging his shields and lasers into the engines. It took the acceleration compensator a second to cycle up, so the ship's burst of speed pushed Corran back into the padding of his command seat. This better work. "Green One, the Warspite has hyped. Are we released to engage fighters?" "Affirmative, Three. Go get them." Corran frowned for a second, knowing his fellow pilots would make short work of the TIE fighters. They would deny him a clean sweep, but he'd willingly trade two TIEs for the corvette. Commander Antilles might have gotten them all himself, but then he's got two Death Stars painted on the side of his X-wing. "Whistler, mark each of the bombers four, five, and six." Range to intercept was three klicks and he had added thirty seconds to his fighting time. "Acquire four." The targeting computer showed him to be coming in at a forty-five-degree angle to the flight path of his target, which meant he was way off target. He quickly punched the generator back into recharging lasers and his shields, then pulled even more energy from his quartet of Incom 4L4 fusial thrust engines shunted it into recharging his weapons and shields. The resource redirection brought his speed down. Corran pulled back on the stick, easing the X-wing into a turn that brought him head-on into the bombers. Tapping the stick to the left, he centered the targeting box on the first of the dupes. The R2 unit hissed. The last bomber had already shot past the intercept point and was bearing in on the Korolev. The pilot had the wide-bodied craft slowly spinning, making it a difficult target for a missile lock. The Korolev, being as big as it was, would present large enough of a target that even a rolling ship could get a lock on it. And once he has that lock, the Korolev is so much space junk. Corran switched back to lasers and pushed his X-wing forward. Even though two klicks separated them, he triggered a couple of laser blasts. He knew his chances of hitting were not good at that range, but the light from the bolts would shoot past the TIE and give the pilot something to think about. And I want him thinking about me, not that nerf-vette grazing there. Corran redirected all power back into the engines and shot forward. Two more laser blasts caused the TIE bomber to shy a bit, but it had pushed into target-acquisition range. The ship's roll began to slow as the pilot fixated on his target, then, as Corran brought his lasers to bear, the bomber jinked and cut away to port. Corran pulled all his shield energy forward and left his aft as naked as the shieldless TIE bomber. Following Jace through a barrel roll, he kept the throttle full forward. As they leveled out again Corran triggered a snapshot at the bomber. It caught a piece of one wing, but Jace dove beneath the X-wing's line of fire. Here we go! Corran shoved his stick forward to follow the bomber's dive, but because his rate of speed was a good twenty percent faster than that of Jace's ship, the X-wing moved into a broad loop. By the time Corran inverted to finish the turn off, Jace's bomber came back up and banked in on the X-wing's tail. Before the bomber could unload a missile or two into his aft, Corran broke the fighter hard to port and carved across the bomber's line of fire. Basic maneuver with a basic response. Without even glancing at his instruments, and paying no attention to Whistler's squealed warning, Corran cut engine power back into recharging his shields. One more second. Jace's response to Corran's break had been a reverse-throttle hop. By bringing the nose of the bomber up in a steep climb, then rolling out in the direction of the turn, Jace managed to stay inside the arc of the X-wing's turn. As the bomber leveled off. it closed very quickly with the X-wing-too quickly for a missile lock, but not a laser shot. The TIE bomber shrieked in at the X-wing. Colision warning klaxons wailed. Corran could feel Jace's excitement as the X-wing loomed larger. He knew the other pilot would snap off a quick shot, then come around again, angry at having overshot the X-wing, but happy to smoke Corran before taking the Korolev. The X-wing pilot hit a switch and shifted all shield power to the aft shields. The deflector shield materialized as a demisphere approximately twenty meters behind the X-wing. Designed to dissipate both energy and kinetic weapons, it had no trouble protecting the fighter from the bomber's twin laser blasts. Had the bomber used missiles, the shields could even have handled all the damage they could do, though that would have been enough to destroy the shields themselves. The TIE bomber, which massed far more than the missiles it carried, should have punched through the shields and might even have destroyed the fighter, but it hit at an angle and glanced off. The collision did blast away half the power of the aft shield and bounced the X-wing around, but other-wise left the snubfighter undamaged. The same could not be said of the unshielded bomber. The impact with the shield was roughly equivalent to a vehicle hitting a ferrocrete wall at sixty kilometers per hour. While that might not do a land vehicle much damage, land vehicles are decidedly less delicate than starfighters. The starboard wing crumpled inward, wrapping itself around the bomber's cockpit. Both pods of the ship twisted out of alignment so the engines shot it off into an uncontrolled tumble through the simulator's dataspace. "Green Three, did you copy that?" Corran got no response. "Whistler, what happened to Three?" The R2 unit gave him a mournful tone. Sithspawn. Corran flipped the shield control to equalize things fore and aft. "Where is he?" The image of a lone TIE fighter making a strafing run on the Korolev appeared on Corran's monitor. The clumsy little craft skittered along over the corvette's surface, easily dodging its weak return fire. That's seriously gutsy for a TIE fighter. Corran smiled. Or arrogant, and time to make him pay for that arrogance. The Corellian brought his proton torpedo targeting program up and locked on to the TIE. It tried to break the lock, but turbolaser fire from the Korolev boxed it in. Corran's HUD went red and he triggered the torpedo. "Scratch one eyeball." The missile shot straight in at the fighter, but the pilot broke hard to port and away, causing the missile to overshoot the target. Nice flying! Corran brought his X-wing over and started down to loop in behind the TIE, but as he did so, the TIE vanished from his forward screen and reappeared in his aft arc. Yanking the stick hard to the right and pulling it back, Corran wrestled the X-wing up and to starboard, then inverted and rolled out to the left. A laser shot jolted a tremor through the simulator's couch. Lucky thing I had all shields aft! Corran reinforced them with energy from his lasers, then evened them out fore and aft. Jinking the fighter right and left, he avoided laser shots coming in from behind, but they all came in far closer than he liked. He knew Jace had been in the bomber, and Jace was the only pilot in the unit who could have stayed with him. Except for our leader. Corran smiled broadly. Coming to see how good I really am, Commander Antilles? Let me give you a clinic. "Make sure you're in there solid, Whistler, because we're going for a little ride." Corran refused to let the R2's moan slow him down. A snap-roll brought the X-wing up on its port wing. Pulling back on the stick yanked the fighter's nose up away from the original line of flight. The TIE stayed with him, then tightened up on the arc to close distance. Corran then rolled another ninety degrees and continued the turn into a dive. Throttling back, Corran hung in the dive for three seconds, then hauled back hard on the stick and cruised up into the TIE fighter's aft. The X-wing's laser fire missed wide to the right as the TIE cut to the left. Corran kicked his speed up to full and broke with the TIE. He let the X-wing rise above the plane of the break, then put the fighter through a twisting roll that ate up enough time to bring him again into the TIE's rear. The TIE snapped to the right and Corran looped out left. He watched the tracking display as the distance between them grew to be a kilometer and a half, then slowed. Fine, you want to go nose to nose? I've got shields and you don't. If Commander Antilles wanted to commit virtual suicide, Corran was happy to oblige him. He tugged the stick back to his sternum and rolled out in an inversion loop. Coming at you! The two starfighters closed swiftly. Corran centered his foe in the crosshairs and waited for a dead shot. Without shields the TIE fighter would die with one burst, and Corran wanted the kill to be clean. His HUD flicked green as the TIE juked in and out of the center, then locked green as they closed. The TIE started firing at maximum range and scored hits. At that distance the lasers did no real damage against the shields, prompting Corran to wonder why Wedge was wasting the energy. Then, as the HUD's green color started to flicker, realization dawned. The bright bursts on the shields are a distraction to my targeting! I better kill him now! Corran tightened down on the trigger button, sending red laser needles stabbing out at the closing TIE fighter. He couldn't tell if he had hit anything. Lights flashed in the cockpit and Whistler started screeching furiously. Corran's main monitor went black, his shields were down, and his weapons controls were dead. The pilot looked left and right. "Where is he, Whistler?" The monitor in front of him flickered to life and a diagnostic report began to scroll by. Bloodred bordered the damage reports. "Scanners, out; lasers, out; shields, out; engine, out! I'm a wallowing Hutt just hanging here in space." With the X-wing's scanners being dead, the R2 droid couldn't locate the TIE fighter if it was outside the droid's scanner range. Whistler informed Corran of this with an anxious bleat. "Easy, Whistler, get me my shields back first. Hurry." Corran continued to look around for the TIE fighter. Letting me stew, are you, sir? You'll finish the Korolev then come for me. The pilot frowned and felt a cold chill run down his spine. You're right, I'm no Luke Skywalker. I'm glad you think I'm not bad, but I want to be the best! Suddenly the starfield went black and the simulator pod hissed as it cracked open. The canopy lifted up and the sound of laughter filled the cockpit. Corran almost flicked the blast shield down on his helmet to prevent his three friends from seeing his embarrassed blush. Nope, might as well take my punishment. He stood and doffed his helmet, then shook his head. "At least it's over." The Twi'lek, Nawara Ven, clapped his hands. "Such modesty, Corran." The blond woman next to the Twi'lek beamed up at him. "You won the Redemption scenario." The grey-green Gand nodded his head and placed his helmet on the nose of Corran's simulator. "You had nine kills. Jace is not pleased." "Thanks for the good news, Ooryl, but I still got killed in there." Corran hopped out of the simulator. "The pilot who got you three-Commander Antilles-he got me, too." The Twi'lek shrugged. "He's been at this a bit longer than I have, so it is not a surprise he got me." Rhysati shook her head, letting her golden hair drape down over her shoulders. "The surprise was that he took so long to get us, really. Are you certain he killed you?" Corran frowned. "I don't think I got a mission end message." "Clearly you have too little experience of dying in these simulators because you'd know if you did." Rhysati laughed lightly. "He may have hit you, Corran, but he didn't kill you. You survived and won." Corran blinked, then smiled. "And I got Bror before he got the Korolev. I'll take that." "As well you should." A brown-haired with crystal blue eyes shouldered his way between Ooryl and Nawara. "You're an exceptionally good pilot." The man offered Corran his hand. "Thought I had you, but when you shot out my engines, your missile caught up with me. Nice job." Corran shook the man's hand hesitantly. The man wore a black flight suit with no name or rank insignia on it, though it did have Hoth, Endor, and Bakura battle tabs sewn on the left sleeve. "You know, you're one hot hand in a TIE." "Nice of you to say, Mr. Horn-I'm a bit rusty, but I really enjoyed this run." He released Corran's hand. "Next time I'll give you more of a fight." A woman wearing a Lieutenant's uniform touched the TIE pilot on the arm. "Admiral Ackbar is ready to see you now, sir. If you will follow me." The TIE pilot nodded to the four X-wing pilots. "Good flying, all of you. Congratulations on winning the scenario." Corran stared at the man's retreating back. "I thought Commander Antilles was in that TIE. I mean it had to be someone as good as him to get you three." The ends of Nawara Yen's head tails twitched. "Apparently he is that good." Rhysati nodded. "He flew circles around me." "At least you saw him." The Gand drummed his trio of fingers against the hull of Corran's simulator. "He caught Ooryl as Ooryl fixed on his wingman. Ooryl is free hydrogen in simspace. That man is very good." "Sure, but who is he?" Corran frowned. "He's not Luke Skywalker, obviously, but he was with Rogue Squadron at Bakura and survived Endor." The Twi'lek's red eyes sparked. "The Endor tab had a black dot in the middle-he survived the Death Star run." Rhysati looped her right arm around Corran's neck and brought her fist up gently under his chin. "What difference does it make who he is?" "Rhys, he shot up three of our best pilots, had me dead in space, and says he's a bit rusty! I want to know who he is because he's decidedly dangerous." "He is that, but today he's not the most dangerous pilot. That's you." She linked her other arm through Nawara's right elbow. "So, Corran, you forget you were a Security officer and, Nawara, you forget you were a lawyer and let this thing drop. Today we're all pilots, we're all on the same side"-she smiled sweetly-"and the man who beat the Redemption scenario is about to make good on all those dinner and drink promises he made to talk his wingmates into helping him win." Wedge Antilles saluted Admiral Ackbar and held the salute until the Mon Calamari returned it. "Thank you for seeing me, sir." "It is always my pleasure to see you, Commander Antilles." Without moving his head, Ackbar glanced with one eye toward the other man standing in his office. "General Salm and I were just discussing the impact of having Rogue Squadron back in the fleet. He feels you are all but ready to go. The unit roster is impressive." The brown-haired fighter pilot nodded. "Yes, sir. I wanted to speak to you about the roster, if I could, sir." Wedge saw Salm's face close up. "There have been changes made to the roster without my consultation." Salm turned away from the floating blue globe hanging in the corner and clasped his hands behind his back. "There are circumstances beyond your control that made those changes necessary, Commander Antilles." "I'm aware of that, sir. Lieutenants Hobbie Klivan and Wes Janson will do well bringing new training squadrons along." I didn't want to lose them, but that was a battle I lost a long time ago. "And I understand why half the slots in my squadron are going to political appointees ..."
Ackbar's head came up. "But you do not approve?" Wedge bit back a sharp comment. "Admiral, I've spent a good deal of the two and a half years since the Emperor died touring worlds new to the Alliance because someone decided our new allies needed to see we had heroes-that we weren't all the bandits the Empire made us out to be. I gave speeches, I kissed babies, I had holograms taken with more world leaders than I ever knew existed. I was there as our propaganda machine built Rogue Squadron up into the needle that exploded the Emperor's Death Star balloons." The human General in command of the Rebellion's starfighter training center at Folor smiled coolly. "Then you do understand why it is important that our allies have representatives within our most celebrated squadron." "Yes, but I know the difference between a real fighter squadron and the monster you've made Rogue Squadron out to be. The Empire isn't going to lie down and die just because they see a dozen ships jump into a system." "But, General, that's what our diplomatic corps is suggesting. The Bothans want a pilot in Rogue Squadron because they found the second Death Star and we killed it. And I understand why having two Thyferrans is important-we have to appease the two conglomerates that control bacta production ..."
Ackbar held up a webbed hand. "Commander, a question to the point is this: Are the pilots selected inferior to other candidates?" Wedge took a deep breath and let it out slowly. Luke would be telling me that anger isn't good. He's right, because anger won't get me any closer to what I want. "Admiral, I'm commanding a fighter squadron. We're an elite squadron and the only thing I want to change about it is our survival rate. You've let me have the pick of the new pilots coming over to us, and I've got a fine group of them. With some more training I think I can make them into the sort of unit that will strike terror into Imperial hearts. And," he added, nodding at General Salm, "I concur with the selection of all the pilots listed on the roster you have, except for two-Rogue Five and my Executive Officer." "Lieutenant Deegan is an excellent pilot." "Agreed, General, but he's from Corellia, the same as me and Corran Horn. It strikes me that having Corellia overrepresented in Rogue Squadron is not politically wise." One of Ackbar's eyes shifted slightly. "You have someone in mind to replace him?" Wedge nodded. "I'd like to use Gavin Darklighter." Salm shook his head adamantly. "He's just a Tatooine farm boy who thinks the ability to shoot womp rats from a speeder can make him a hero." "Begging your pardon, sir, but Luke Skywalker was just a Tatooine farm boy whose ability to shoot womp rats from a speeder did make him a hero." The General snarled at Wedge's riposte. "You can't mean to suggest this Darklighter has Commander Skywalker's control of the Force." "I don't know about that, sir, but I do know Gavin has every bit as much heart as Luke does." Wedge turned toward the Mon Calamari. "Gavin had a cousin, Biggs, who was with Luke and me in the trench at Yavin. He stayed with Luke when I was ordered to pull out. Biggs died there. Gavin came to me and asked to join my squadron." "What Commander Antilles is not telling you, Admiral, is that Gavin Darklighter is only sixteen years old. He's a child." "You couldn't tell it by looking at him." Ackbar's barbels quivered. "Forgive me, gentlemen, but determining a human's age by visual clues is a skill that has long since eluded me. General Salm's point is well taken, however. This Darklighter is rather young." "Is the Admiral suggesting that someone, somewhere within the Alliance, won't take Gavin in when we need to put someone in an X-wing cockpit? I don't think Commander Varth would balk at bringing Gavin on board." "That may be true, Commander Antilles, but then Commander Varth is far more successful at keeping his pilots alive than you are." Ackbar's even tone kept the remark away from being a stinging rebuke, but not by much. "And, yes, I know Commander Varth has never had to face a Death Star." Rogue Squadron's leader frowned. "Sir, Gavin came to me because Biggs and I were friends. I feel an obligation to him. Even General Salm will agree that Gavin's test scores are very good-he'll do his Redemption scenario in three days and I expect his scores there will measure up. I want to pair Gavin with the Shistavanen, Shiel. I think they'll work well together." He opened his hands. "Gavin's all alone and looking for a new home. Let me put him in Rogue Squadron." Ackbar looked at Salm. "Aside from this nebulous age problem, you do not disagree with this selection?" Salm looked at Wedge and bowed his head. "In this case-if Darklighter does well in his Redemption trial-I see no problem with letting Commander Antilles have his way." Which means my choice for XO gets opposed fully-not that I expected less. "You are most kind, General." Ackbar's mouth opened in the Mon Calamari imitation of a smile. "Spoken with General Solo's degree of sarcasm, I believe." "I'm sorry, sir." Wedge smiled, then clasped his hands at the small of his back. "I would also hope the General would see his way clear to letting me choose my own Executive Officer." The Admiral looked at his starfighter commander. "Who is presently in that position?" "Rogue Squadron's XO is Captain Aril Nunb. She is the sister of Nien Nunb, one of the other heroes of Endor. She is every bit as skilled a pilot as her brother and worked extensively with him during his smuggling days. Sullust is providing us aid and having her in Rogue Squadron would definitely increase support from the SoroSuub government." "Commander, do you quarrel with this assessment?" Wedge shook his head. "No, sir, not at all." "Then the problem is ... ?" "She's a wonderful pilot, Admiral, and I'd love to have her in my squadron, but not as my XO. In that position I need someone who can help train my pilots. What Aril does, what her brother does, is intuitive to them. They can't teach it to others. As my XO she'd be frustrated, my pilots would be frustrated, and I'd have chaos to deal with." "And yon have another candidate in mind?" "Yes, sir." Wedge looked at General Salm and braced for his reaction. "I want Tycho Celchu." "Absolutely not!" The explosion Wedge had expected from Salm did not disappoint him. "Admiral Ackbar, under no circumstances will I allow Celchu to be anywhere near an active duty squadron. Just because he isn't in prison is no reason for me to want him in my command." "Prison!" Wedge's jaw shot open. "The man hasn't done anything that warrants confinement." "Come on, Antilles, you know what he's been through." "What I know, General, is this: Tycho Celchu is a hero-much more of a hero than I am. On Hoth he fought as fiercely as anyone and at Endor he piloted an A-wing that led a bunch of TIE fighters on a merry chase through the Death Star. He took them off our backs while Lando and I went in and blew the installation's reactor. He fought at Bakura and went on subsequent missions with the squadron, then volunteered, General, volunteered to fly a captured TIE fighter on a covert mission to Coruscant. He got captured. He escaped. That's it." "That's all you want to see, Antilles." "You say he escaped." Salm's face hardened into a steel mask. "It could be they let him go." "Sure, just like they let him go at Endor." Wedge grimaced, doing his best to banish the anger he felt growing in him. "General, you're fighting ghosts." Salm nodded curtly. "You're right, I'm fighting to prevent you and your people from becoming ghosts." "Well, so am I, and having Tycho with us to train my people will give them the best chance of survival possible." Salm tossed his hands up in disgust at Admiral Ackbar. "You see, he won't listen to reason. He knows Captain Celchu is a threat, but he won't let himself see it." "I'll listen to reason, sir, when I see the product of some reasoning." Ackbar held up his hands. "Gentlemen, please. Commander Antilles, you must admit that General Salm's concerns are valid. Perhaps if there were a way to alleviate some of them, an accommodation could be reached." "I thought of that, sir, and I've spoken with Captain Celchu about it." Wedge started ticking points off on his fingers. "Tycho has agreed to fly a Z-95 Headhunter in our training exercises, with the lasers powered down so they can only paint a target, not hurt it. He's agreed to have a destruct device installed in the starfighter so that if he goes to ram anything or goes outside spacelanes to which he is assigned, he can be destroyed by remote. When not flying he has agreed to remain under house arrest unless accompanied by Alliance Security or members of the squadron. He's agreed to undergo interrogation as needed, to have all his computer files and correspondence open to examination, and is even willing to have us choose what he eats, when, and where." Salm marched over and placed himself between Wedge and the Mon Calamari Admiral. "This is all well and good, and might even be effective, but we can't afford the risk." Ackbar blinked his eyes slowly. "Captain Celchu has agreed to these conditions?" Wedge nodded. "He's no different from you, Admiral-he's a warrior. What he knows, what he can teach, will keep pilots alive. Of course, there's no way General Salm will ever let him fly in combat again." "That can be etched in transparisteel." "So serving as an instructor is the only way he can fight back. You have to give him this chance." Ackbar activated the small comlink clipped to his uniform's collar. "Lieutenant Filla, please find Captain Celchu and bring him to me." The Mon Calamari looked up at Wedge. "Where is he currently?" Wedge looked down at the deck. "He should be in the simulator complex." "He's where?!" Salm's face went purple. "You'll find him in the simulator complex, Lieutenant. Bring him here immediately." Ackbar turned the comlink off. "The simulator complex?" "It was Horn's turn leading the Redemption scenario. Tycho knows how to fly a TIE better than most pilots, so I decided to have him fly against Horn." Ackbar's lip fringe twitched. "You've taken certain liberties concerning Captain Celchu already, it seems, Commander." "Yes, sir, but nothing that isn't necessary to make my pilots the best. I'm being prudent in this, I think." "The most prudent course, Commander-if you cared to protect the rest of the trainees here, not just your own-would have been to keep Captain Celchu out of the simulator facility entirely!" Salm crossed his arms over his chest. "You may be a hero of the New Republic, but that doesn't give you any authorization to jeopardize our security." Perhaps having Tycho fly today was a bit premature. Wedge glanced down penitently. "I stand corrected, sir." Ackbar broke the uneasy silence following Wedge's admission. "What is done is done. Now using Captain Celchu in the scenario would have made it that much more difficult, would it not?" A smile creeping back on his face, Wedge nodded. "Yes, sir-which is what I wanted. Horn is good, very good, and the trio of pilots flying on his side in the exercise are not bad, either. Overall, Horn or Bror Jace, the Thyferran, are the best pilots in the whole group. Jace is arrogant, which gets under Horn's skin and keeps him working hard. Horn, on the other hand, is impatient. That'll get him killed and the only way to make that apparent to him is by having someone shoot him up in exercises. Tycho can do that." The door to Ackbar's office opened and a female Rebel officer led a pilot in a black flight suit into the room. "Admiral, this is Captain Celchu." Tycho snapped to attention. "Reporting as ordered, sir." Wedge gave the slightly taller man a reassuring smile. The Admiral eased himself out of his chair. "You may leave us, Lieutenant." The Mon Calamari waited for the door to close behind his aide, then he nodded toward Wedge. "Captain Celchu, Commander Antilles has told me that you have agreed to a remarkable number of restrictions on yourself and your activities. Is this true?" Tycho nodded. "Yes, sir, it is." "You realize you will be flying a defenseless bomb, you will have no privacy and no freedom." Tycho shrugged. "It's my duty, sir. I chose to join the Rebellion. I willingly froze on Hoth. I followed orders and assaulted a Death Star. I volunteered for the mission that got me in all this trouble. I did all those things because that's what I agreed to do when I joined the Rebels." He glanced down. "Besides, even the worst you can do to me will still be better than Imperial captivity." Sweat gleaming from his bald head, Salm pointed at Tycho. "This is all noble, Admiral, but would we expect anything less from someone in his position?" "No, General, nor would we expect anything less of a noble son of Alderaan." The Mon Calamari picked up a datapad from his desk. "I am signing orders to make Captain Celchu the Executive Officer for Rogue Squadron, and to put this Gavin Darklighter in the squadron as well." Wedge saw Salm's expression sour, so he suppressed his own smile. Even so he winked at Tycho. Two flights, two kills. Ackbar glanced at the datapad's screen, then looked up again. "Commander Antilles, I expect to be informed about any irregularities or problems with your unit or personnel. An M-3PO military protocol droid has been assigned to your office to help you make out reports. Use it." The Corellian rolled his eyes. "As you wish, sir, but I think that droid could be more useful elsewhere." "I'm sure you do, Commander, but those decisions are made by those of us who haven't refused promotions time and time again." Wedge held his hands up. "Yes, sir." I surrender, but you don't fool me, Admiral. You like mixing it up in battle the same as I do, but you work with the big ships while I like the fast ones. "Good, I am glad we understand each other." Ackbar nodded toward the door. "You're dismissed, the both of you. I imagine you have things to celebrate." Wedge looked up and Tycho turned around to face the Admiral. "Sir?" they asked in tandem. "What did you think about the pilots in the Redemption scenario?" Wedge looked over at his XO. "Did you get Horn?" Tycho blushed. "Oh, I got Horn, but just not as much of him as I would have liked." Smiling proudly, he added, "Admiral, if the pilots I flew against are representative of the rest of the people we have to work with, Rogue Squadron should be operational within a couple of months, and the scourge of the Empire not very much longer after that."